BOULDER, Colorado – Dec 12, 2018 – HSAT, a 6U CubeSat using a Bus manufactured by Blue Canyon Technologies for the Harris Corporation, successfully launched from India’s Polar Satellite Launch Vehicle (PSLV) and has begun initial operations. The briefcase-sized spacecraft will test and characterize the performance of a payload in a circular, sunsynchronous, Low Earth Orbit (LEO). Blue Canyon Technologies is proud to support the Harris Corporation as a partner on the HSAT mission. 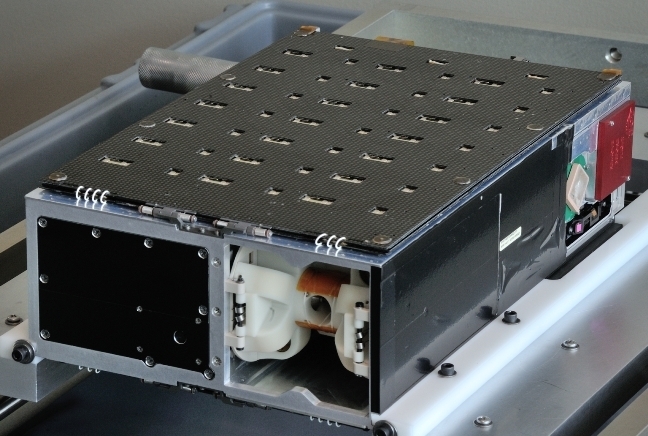 BCT’s 6U spacecraft bus is a state-of-the-art, high-performance CubeSat platform that maximizes available payload volume. The spacecraft includes ultra-high-performance pointing accuracy, robust power system, command and data handling, RF communications, optional propulsion, and multiple flexible payload interfaces. The BCT XB Spacecraft family provides a complete solution for payload needs ranging from a 3U CubeSat to ESPA-class.